We’ve shown previously how to convert an image to PDF on Windows. Now we’re moving on to MacOS. 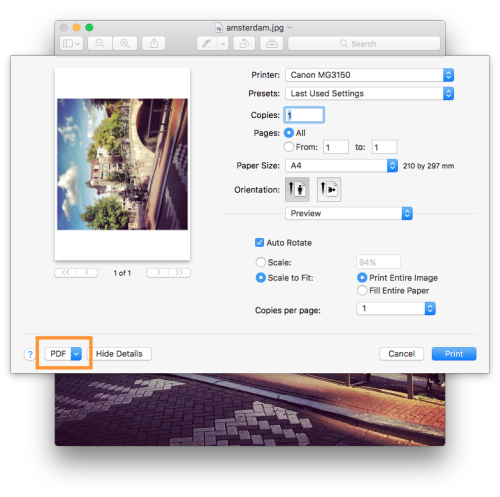 So here’s now to convert that image file and save it as a PDF document on a Mac. 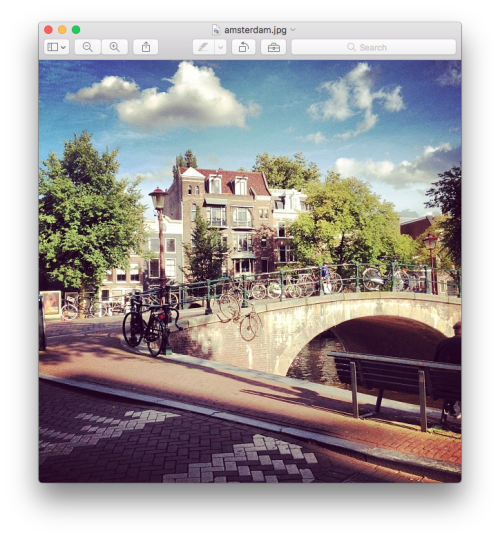 Open Finder and navigate to the image location. Then double click the image file to open it with Preview, the app with PDF super-powers. With Preview open, click Command+P to bring up the Print dialog. You can change handy settings such as Paper size or Scaling and make sure it looks as you expect it in the Print Preview section. Then click the PDF button in the lower left part of the screen and choose a location to save your resulting PDF document. Done, that was it! Quick and simple, and no extra software required.